Douglas Manuel, was born in Anderson, Indiana. He received a BA in Creative Writing from Arizona State University and a MFA from Butler University where he was the Managing Editor of Booth a Journal. He is currently a Middleton and Dornsife Fellow at the University of Southern California where he is pursuing a PhD in Literature and Creative Writing. He has served as the Poetry Editor of Gold Line Press as well as was one of the Managing Editors of Ricochet Editions. 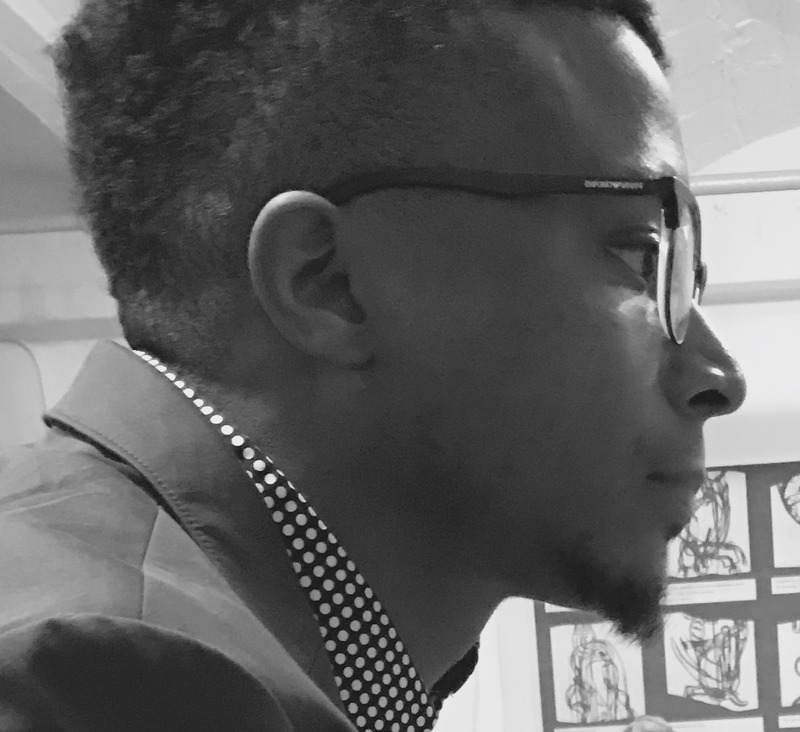 His work is featured on Poetry Foundation's website and has appeared or is forthcoming in Poetry Northwest, Los Angeles Review, Superstition Review, Rhino, North American Review, The Chattahoochee Review, New Orleans Review, Crab Creek Review, and elsewhere. His first full length collection of poems, Testify, was released by Red Hen Press in the spring of 2017.
left open to the Book of Psalms. a thin coat for his bones, his clavicles sharp. to spray paint a black fist over that flag. into fists. I stare at the whites of her eyes. Save those tears. You’ll need them later. to soak away the switch he hit me with. and see which one fills up the quickest.